Cambodia's major BRI project expected to be completed by 2020 following partnership deal with Chinese developer. 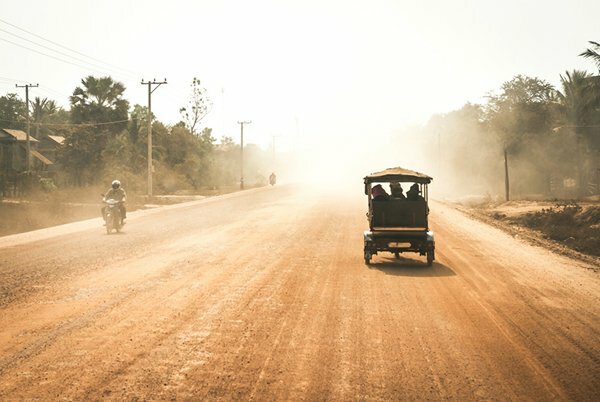 Up for an upgrade: Cambodian road networks set for major BRI overhaul. Work on the much-anticipated 190-kilometre, 25-metre-wide Phnom Penh-Sihanoukville expressway is expected to begin by the end of the year. Once completed, the project, seen as one of the country's key contributions to the Belt and Road Initiative (BRI), will boost transport links between the capital and Preah Sihanouk, the country's principal seaport. The project is being managed by the China Communications Construction Company and is expected to reduce travel time and improve road safety in a country that has been notoriously short of infrastructure investment. It will run from the Kob Srov area, just to the west of central Phnom Penh, before extending along the route of National Road 4, passing through Kampong Speu province, before terminating in the coastal town of Sihanoukville, one of the country's most important trade and tourism centres. The initiative will also provide a much-needed boost to the government's plan to transform Preah Sihanouk province into a multi-purpose Special Economic Zone in line with the previously announced objectives of its 2015-2025 Industrial Development Policy. With the project scheduled for completion within three years, the return for investors should come via the toll-road system that will be put in place in line with the agreed build, operate, and transfer (BOT) finance model. The initial deal was finalised and announced during the May 2017 Beijing Belt and Road Forum. It followed a meeting between Hun Sen, the Cambodian Prime Minister, and Liu Qitao, President of the China Communications Construction Company, where it was agreed that the Beijing-based developer would invest nearly US$2 billion in building the expressway on a BOT basis. The announcement came almost exactly a year after Sun Chantol, Cambodia's Public Works and Transport Minister, had lobbied China for assistance with the project, as well as for support for the redevelopment of the country's overall infrastructure, particularly its road networks. The Cambodian government's own Expressway Master Plan outlines the need to build an additional 850km of expressways by 2020, a development said to require some $9 billion of funding. Looking to the longer term, the country is also seeking investment of about $26 billion in order to build a further 2,230km of expressways by 2040. According to a report by the Singapore-based Institute of Southeast Asian Studies, Cambodia needs to spend about $700 million per year on roads, bridges, power grids and irrigation systems if it hopes to compete and co-operate with the more developed countries in the region. Stressing the urgency of this, the report concludes: "Cambodia needs to quickly and effectively grasp the emerging opportunities arising from a number of regional development initiatives, most notably the BRI." To a certain degree, Cambodia has already taken such advice on board. During the Beijing Forum, for instance, senior representatives of the country came to a series of agreements with their Chinese counterparts across a wide range of investment and development issues. These included commitments to fund infrastructure improvements in a number of areas, including production capacity, trade, finance, maritime co-operation and tourism. With all of these to be funded within the Belt and Road framework, China also pledged an additional $240 million worth of grants to its southerly neighbour. China is no newcomer to investing in Cambodia. According to the Cambodian Ministry of Public Works and Transport, China has already financed 2,727km of new roads in the country. Of these, some 2,000km have already been completed, with the remainder still under construction. With regard to the China Communications Construction Company, it has already committed to investing about $1.6 billion in 16 Cambodian projects, including development work on extended road networks, new bridges and other areas designated as infrastructure priorities.